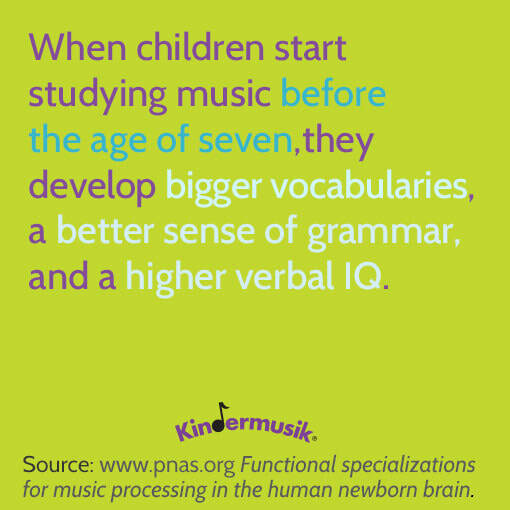 ​Kindermusik is about helping you grow closer to your child and enriching his/her environment and development to nurture a lifelong love of music and foundation for learning. I recognize that the child's most important teacher is YOU and I will support you in every step of the way by providing home materials and activities appropriate to your child's developmental level. Kindermusik's curriculum is based on research done by experts in early childhood development such as Piaget, Montessori, and Brazelton. Kindermusik applies music education philosophies of Orff, Kodaly, and Dalcroze and adheres to the standards set by Music Educators National Conference. Click on the Creative Development button and class link(s) to learn more about what happens in class.